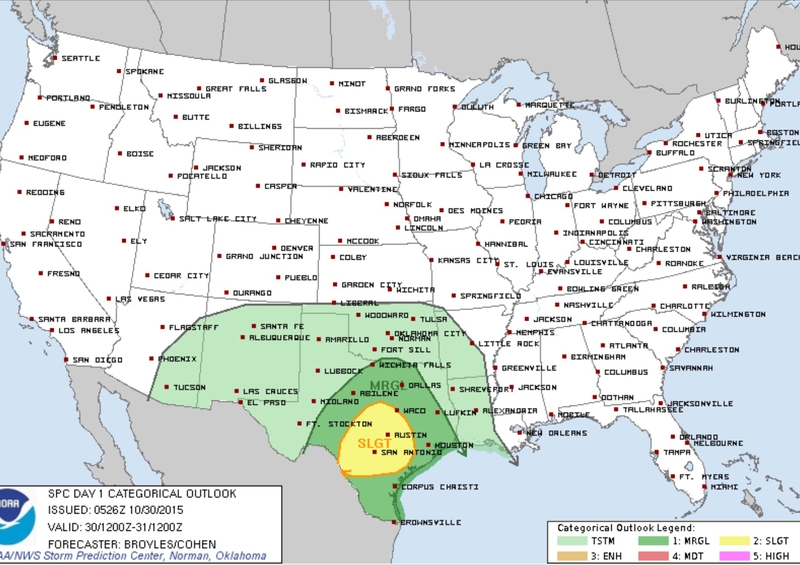 Latest update from the Storm Prediction Center: Severe storms will be possible across the southern plains today with the greatest threat located in south-central Texas. A couple tornadoes, large hail and wind damage will be possible today. Click here for more info from the SPC.